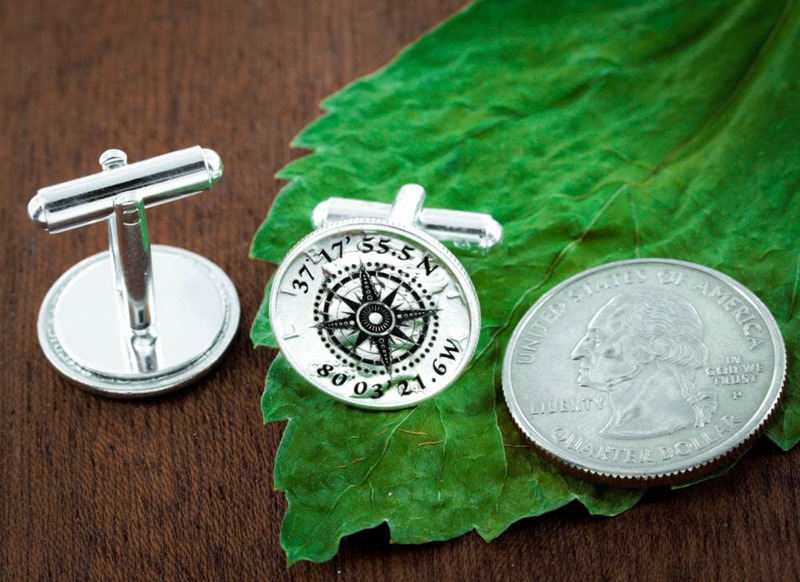 These cufflinks are made from the beautiful silver Mercury Dimes that were made in the US from 1916 to 1945. We have deeply engraved a compass in the middle and will etch personalized GPS coordinates on the top and bottom. It's a great way to celebrate a special anniversary or occasion!!! 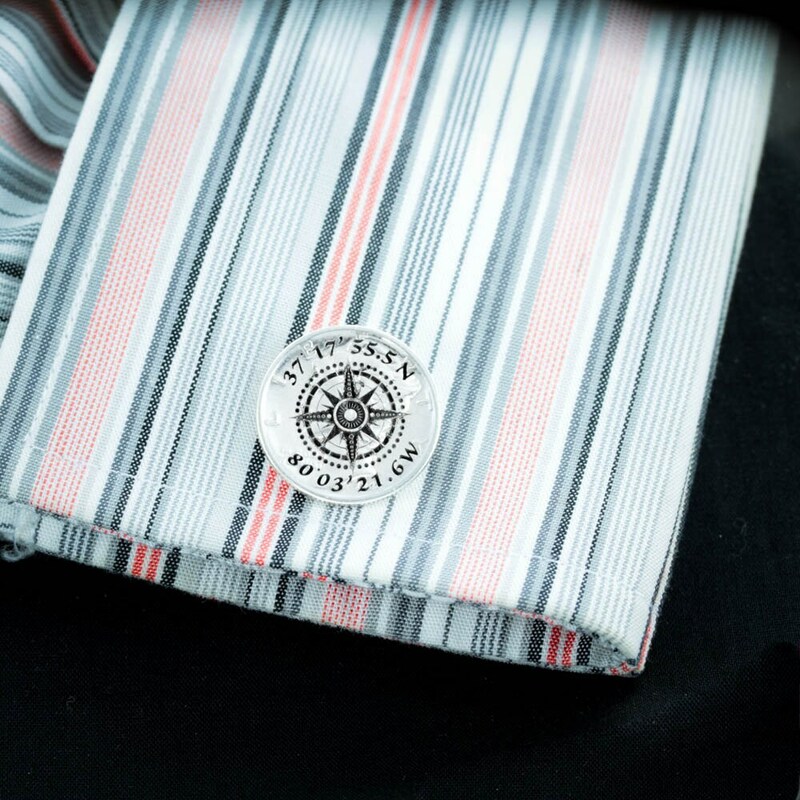 This makes for a great gift that is very special and personal. 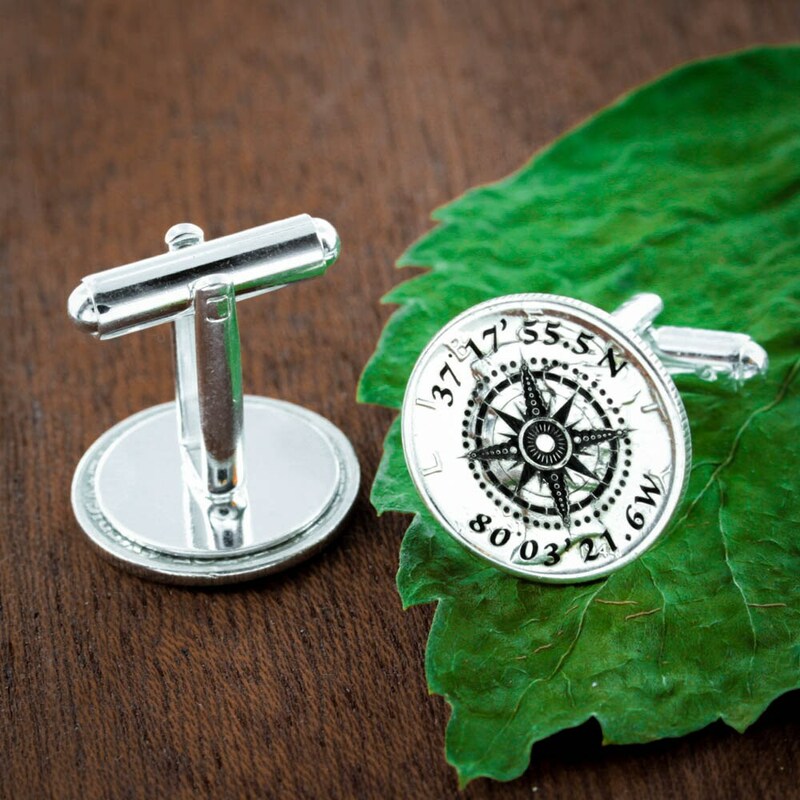 Engrave the coordinates where you and your wife or husband first met, where you proposed, plan to propose or any other special place! Just let us know in your order comments what coordinates you would like us to engrave. You can use google maps to find out. If you would rather us engrave names on the top and bottom then we can do that for you no problem. Exactly what I envisioned! My husband loved them.